If you are planning a visit to Russia and don’t know where to start, Russian National Group is here to assist you in the easiest and quickest ways possible. RNG is a fully licensed company that provides visa support at the Russian Consulates in the USA and the Ministry of Foreign Affairs in Moscow.We work directly with the Russian Consulate to expedite Russian visa applications. We offer reasonable and competitive prices. Before arranging a trip to Russia, citizens of most of the countries need to apply for a Russian visa. If you are planning a visit to Russia and don’t know what to start with, Russian National Group gives you the most complete information on obtaining a visa to Russia. Visa lists entry/exit dates, your name, passport details, and your travel purpose. Please, note that your Russian visa is an exit permit just like it’s an entry permit: if you lose it or stay over your designated departure date, leaving the country could be more troublesome than entering it.All applications for Russian visas submitted in the United States must be prepared electronically – a web-based application form is available here: visa.kdmid.ru. A valid passport NOTE: Passport should be valid for at least 6 months after the visa expiration date. You will need to have at least two blank Visa pages in your passport. Filled out application form (visa.kdmid.ru) with application ID number and password. NOTE: Each applicant must submit a separate form.If you would like our company to fill out the application form for you online, we can provide this service for additional $30 per application form. In this case, please download the Application Form for the Russian Visa, answer all circled questions and send it back to us with your documents package. Two passport size photos (2” x 2”) – for single/ double / multi-entry visa. The photo should be new or taken within the last 6 months; on a white background. Check or money order for the amount specified below, payable to Russian National Group NOTE: We also accept cash and credit card (additional 4% charge for credit card transactions). Additional documents for former citizens of the Russian Federation NOTE: Applicants – former citizens of the USSR or the Russian Federation must submit a document that confirms that they are no longer citizens of the Russian Federation (so called “Visa to Israel” or stamp in their passport saying that they left for “permanent residence abroad” before the 6th of February, 1992 or official document certifying that their Russian citizenship was renounced), otherwise your application will not be accepted. Additional documents for non-US citizens NOTE: A copy of your green card (both sides) or a copy of your visa along with I-94 form. NOTE: Citizens of Israel, Iran, Ireland, the Schengen countries (Austria, Belgium, Bulgaria, Hungary, Greece, Denmark, Iceland, Spain, Italy, Cyprus, Latvia, Lithuania, Luxembourg, Malta, Netherlands, Norway, Poland, Portugal, Romania, Slovakia, Slovenia, Germany, Finland, France, Czech Republic, Sweden, Switzerland, Estonia) must submit proof of medical insurance valid in Russia for the period of stay with visas of any type. Citizens of China must submit proof of medical insurance valid in Russia only for tourist visas. Additional documents for children under 18 years old NOTE: A copy of child’s birth certificate and copies of both parents’ passports (first page). If child’s mother changed her maiden name, please submit also a marriage certificate. Additional documents for work and student visas NOTE: Applicants must submit HIV Test (AIDS) Certificate. Please note that multiple-entry tourist/ business visas up to 3 years can be issued only within 10-11 business days (expedited service is not available). For a double entry tourist visa please submit a copy of the tickets for the whole itinerary. ✱ For the same day service the documents should be at our office before 10 AM EST. Copy of Marriage Certificate; Divorce Decree; or Death certificate. For children: Copy of birth certificate. For children under 18 years of age: All above documents should be from parents: Bank statement, Real-estate, Employment, etc. Copy of health insurance valid in Russia, covering the first trip (If you don’t have medical insurance we can provide one for additional 50$ ). This visa fee includes official mandatory invitation from our Moscow office, registered with the Ministry of Foreign or Internal Affairs in Moscow, consular fee and our service charge. Holders of diplomatic passports of the mentioned countries will not need a visa to enter Russia for 90 days.The provisions above are not valid for the United Kingdom, Ireland, Denmark, Norway and Switzerland, which are not EU member states and did not sign the Agreement with Russia. Russian visas must be registered within the first 7 business days after your arrival. 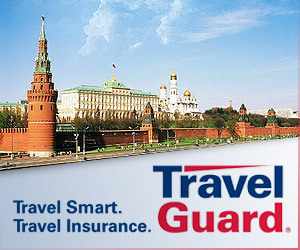 This can be done either at your hotel free of charge OR at our downtown Moscow or St. Petersburg offices on the spot. Registration fee is $60. We will send you registration instructions with your issued visa.